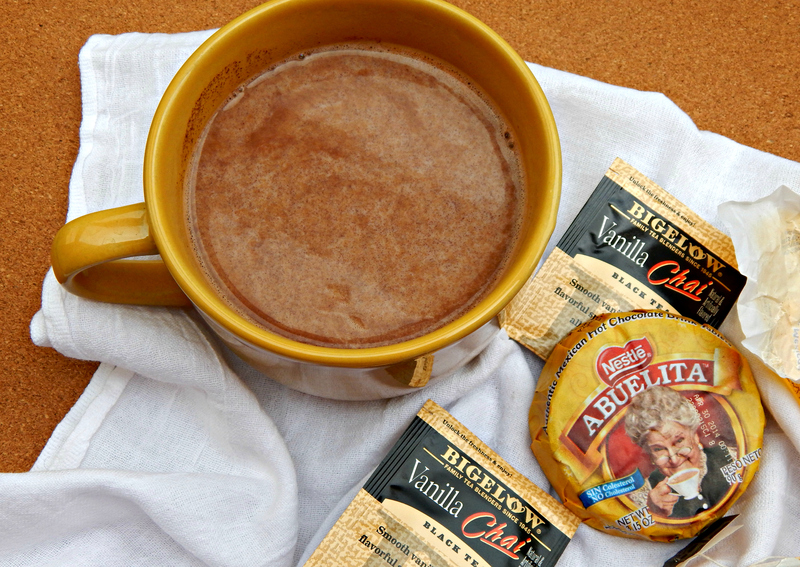 Have you ever had Abuelita brand hot chocolate? 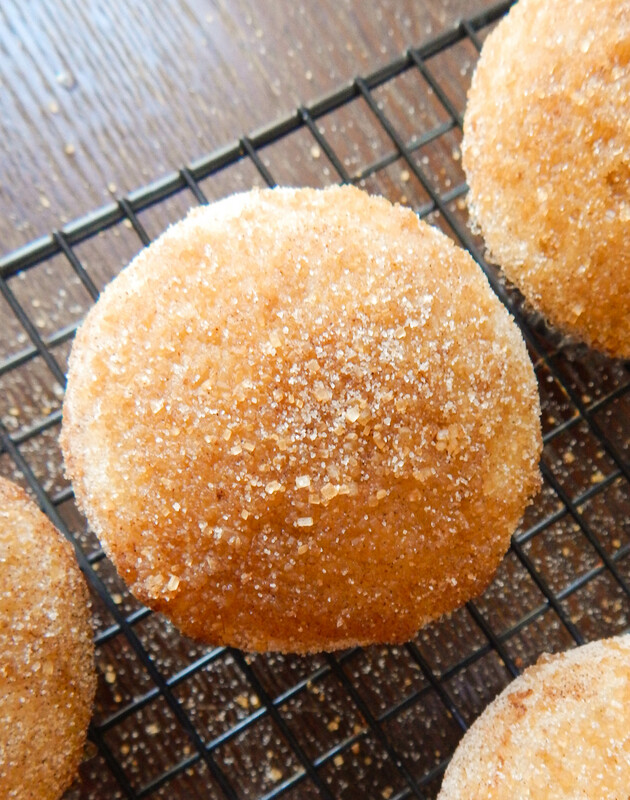 It’s a Mexican solid bittersweet chocolate round that is sweetened and has a hint of cinnamon flavor. It’s rock hard but you add it to milk, stir and it melts easily. I like whisking mine until it dissolves and the milk turns a little frothy. 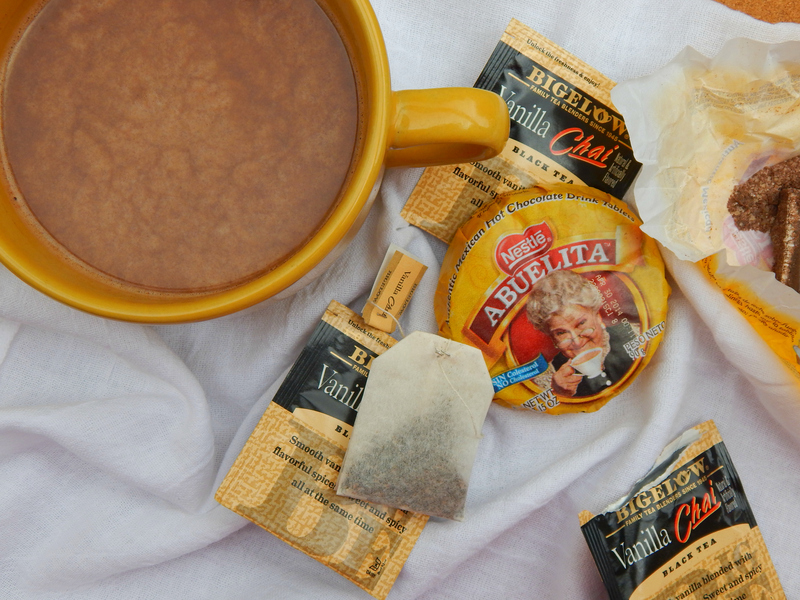 Growing up when the fall and winter months arrived and it got cold out, Abuelita’s was a staple in our house. My mom or dad would make the hot chocolate in a big pot and we would have it with Mexican sweet bread or with buttered and toasted birotes (Mexican roll/baguette). Oh so good! 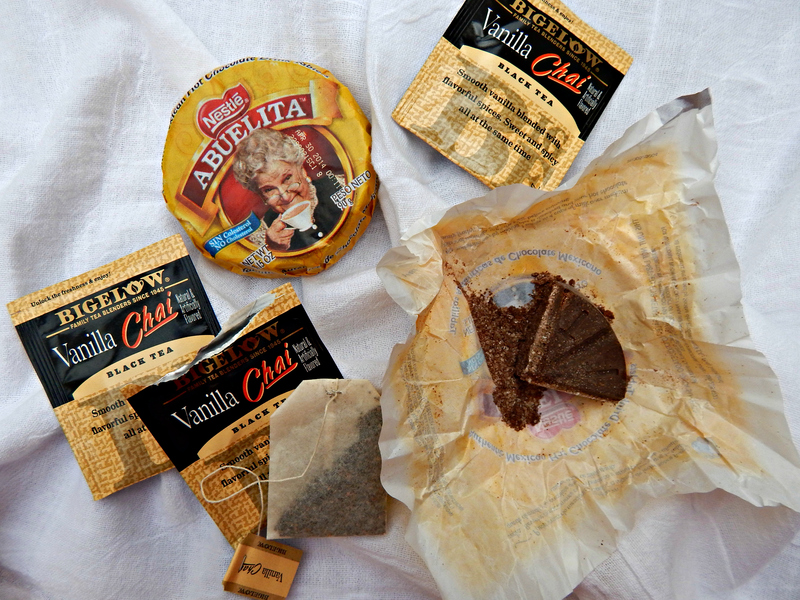 Pairing my fave hot chocolate with chai tea seemed like a perfect idea, and I am so glad I did! Chai is a black tea with spices like cinnamon, cardamom, pepper, ginger and cloves. Every brand is different, and you can use your favorite. I have been loving tea lately, so I picked up a vanilla chai from Bigelow at Target. They have great tea selection, and I recommend checking it out if you can. Enjoy a big cup of this on a chilly morning or night! 1. Heat water to just under a boil. Remove from heat and add tea bags. Steep the tea bags for 3-5 minutes and set aside. Do not steep for too long or the tea will become bitter. 2. Add milk and chocolate round to a medium pot over medium low heat. Let it begin to heat up and melt. Once it is warm begin to stir or whisk. Continue to stir or whisk until chocolate is dissolved. Cook until hot but not boiling. Add in the brewed tea and whisk or stir together. Serve immediately. Enjoy! I recommend using whole milk for this recipe to get a rich and velvety consistency.